We should always remember the cross and what JESUS did on the cross. Also remember the beating, the suffering, and the humiliation HE went through. Never forget that HE went through all of this because HE loves us. I’ve seen crosses that are jewelry and I’ve even seen some churches display the cross with JESUS still on there. HE is not on the cross. HE IS ALIVE!!!!! 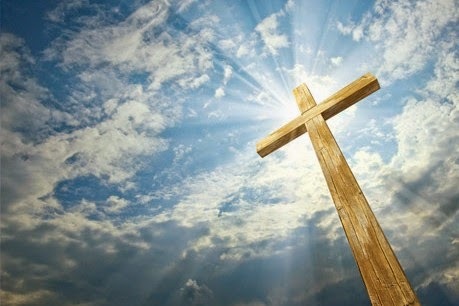 The Cross is a symbol of Life. JESUS chose us as HIS people, as HIS friends, as ones who need to be out there telling everyone about JESUS and the hope HE brings to everyone’s life. Everything is based on the decisions we make. Decisions to whom you will serve this day. It’s up to us. No excuses. No blaming someone else. In Luke 23:32-43 we read about the two thieves that were next to JESUS. The one thief is like a lot of people today where they blame JESUS and want to use HIM for their benefit. They want JESUS to fill their wish list. Make sure our list is based on seeing the lost saved. People healed. People delivered. People building a relationship with JESUS. We also need to deny ourselves and pick up our cross. Denying ourselves means to sacrifice what we want and give up our personal interests, our goals. Give up our will & accept GOD’s will – and make HIS Will joyful – make it a pleasure in your heart. Did you know the Cross is the greatest symbol of friendship. So just before HE died, HE said, “It is finished.” The laying down of HIS life, sacrificing HIMSELF, for us. Now comes the plan of salvation. HIS work of redemption was over. HE took the punishment that belonged to us. ON the cross. Now HE is alive.